This stone marks the north-western corner of the 10 meers leased to P.W. Overend & Co which appears as "Overing & c" on the Brailsford survey of 1781. 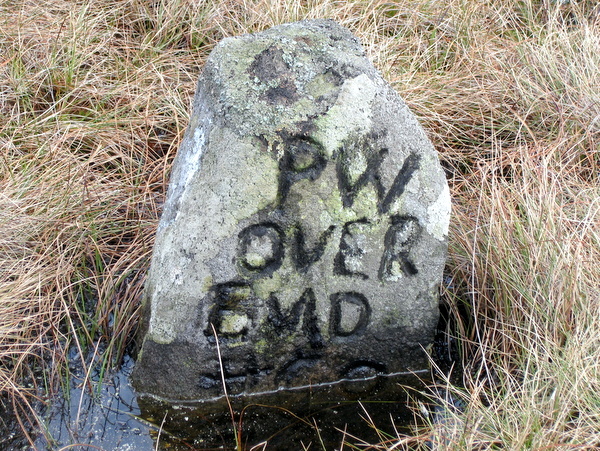 The N of Overend is reversed. A drawing of the inscription appears in Arthur Raistrick's paper The Founders' Meer in the NCMRS 1962-1963 Transactions (see references). The death of Peter Wilson Overend at the age of 80, is recorded in the 1805 Linton Parish register.